Can an app really ‘train’ your brain? It would seem that there’s an app out there for everything – including plenty that claim to train your brain. But can an app really help your brain out? There’s a plethora of brain training apps making all sorts of grandiose claims to boost your IQ and your mental sharpness. Some even claim that ‘training’ will improve ‘critical cognitive skills’ that are proven to boost productivity, earning power and self-confidence. These apps have had millions of downloads each, so they must be doing something right. But can their claims really be true? In 2009 we asked manufacturers of brain training devices and software what the benefits of using their products were, and requested evidence to back up their claims. Our experts concluded that much of the evidence for these claims was weak. The evidence showed that using a brain training app only made you better at that specific task – which is to be expected if you’re spending large amounts of time practicing to achieve a singular goal. So seven years have passed since then, has anything changed? It seems not. Developers Lumos Labs have found themselves hit by a hefty $2m fine to settle claims over deceptive advertising for their brain training suite ‘Lumosity’. The app showed an image of a brain increasing in physical size, and even gave you a numerical ‘brain size’ rating for your efforts. The intended psychological effect is clear, but the company has been banned from making future claims about any benefits for real-world performance, age-related decline, or other health conditions until they have scientific backing. Maybe it’s just a game though? 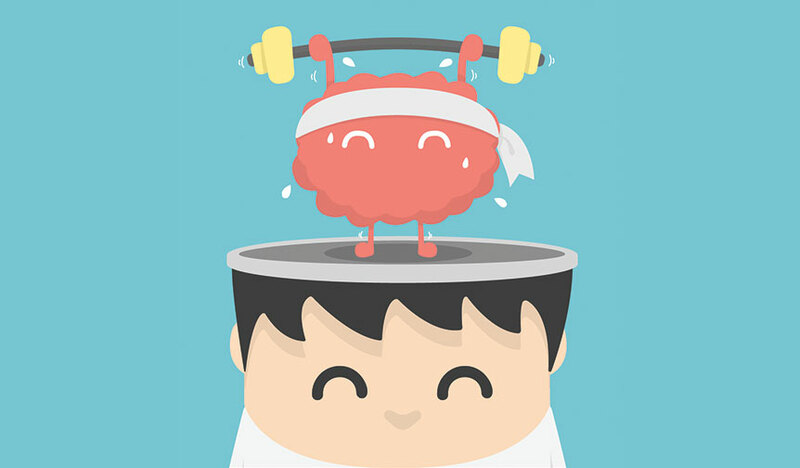 Surely we don’t really believe that an app like Lumosity can somehow beef up our brains? There’ll be many people using these apps/games as a boredom-killer – something to do on a long commute or while they’re waiting at the dentist. That’s all well and good, but perhaps the lines have become blurred in these cases and it’s not really fair to have invested both your money and time against claims with little concrete evidence behind them. You may have got the impression I’m more on the sceptical side of the fence (just the way I am I’m afraid!). I’m happy keeping my brain in shape with a regular dose of reading – a good Which? Convo debate comes in handy more often than not. And of course, as we advised back in 2009, regular physical exercise. NO never, no machine can compete with a world population of individuals with varying IQ,s . For me I like to compete with many people intellectually for real over the web with all nations and peoples this to me is “brain training ” of the genuine sort . It stimulates me immensely and increases my knowledge base and intellectual capacity which amazingly has not diminished but increased as I get older totally at odds with perceived medical data . At my age with my experience I can vouch that this works ,apps do nothing for me as I dont feel they are competitive in the real human sense and present an artificial level from which you are judged not in touch with reality. Human intelligence and inter communication is the best way to increase brain power , just look at the regular posters here , no dumb asses about ,all bright , quick witted , sharpened by constant human interaction. I have tried some simple computer games that were sold as “brain training”. However, they were soon abandoned in favour of other computer games that I enjoyed more – and that had been just sold as games. As far as I can see, if a computer game involves the solution of a series of puzzles or tasks of increasing difficulty, playing it all the way to the end will help to develop “a can do attitude”. Once you have established “can do” + “want to” then you should be able to turn your mind to pretty much anything. In general, I suspect that the best way to maintain “critical cognitive skills” is to use them regularly. I do not disagree with a lot of what you said in the article and the two comments above. Except to point out that I have been playing Wizard a game devised between Apple and the University of Cambridge to help improve the memory recall of schizophrenic patients . I found it immensely helpful in improving my ability to focus on a single task without attempting to multi task and as a result I have found my levels of concentration have improved. In addition my memory recall has returned to the levels of when I was younger and for that I am grateful. Whereas I felt in a fog and unable to recall things, I had to act on them straight away, now I find my mind is reminding me if I have not completed a task. Whilst the claims of brain training app firms may have intensified in the race for sales, I believe that there is something to be said for making and taking time to perform an activity to the exclusion of all else and this is where the brain receives a pleasurable workout as opposed to stressing and processing the thousands of messages it receives on a daily basis. I agree if you do not exercise your cognitive ability it will erode and I guess therefore how you choose to do that will be individual – some of your reference needing more challenge but for others these games may make a subtle yet effective difference in helping them manage the stresses of every day life. As neurosciencetists continue to explore the brain we may well learn that less is more for some and who knows there may even be more differences in gender and brain organisation that plays a part. Your last sentence is very apt Ginette . AS a male I have intense concentration on one subject ,so much so its like a laser beam able to dissect and analyse bringing various equations into the mix put it all together and come out with a correct answer just like a detective. BUT I must bow down to you Ginette as a woman you have what I havent –the ability to multitask ,here I am useless ,no good ,a disaster. It has been proved by 1000,s of tests over the decades that women have the advantage of men over this ,it doesnt matter how many female hormone pills a man takes he is born with his brain wired that way . Having said that I am sure in this varied organic world there are men that maybe could compete but I have not come across any. I burn toast, meals , etc and out shopping I suffer from a form of visual dyslexia where I cant take in a variety of goods on a shelf at the one time. You are not being specific enough. Memory training does work. Vocabulary training, when roots and origins are added does work. There are good teachers and poor teachers, likewise enthusiastic learners, and cynical resisters . I have no experience with apps, but as I have pointed out, its quality that matters. The answer is of course “Yes” . The question should perhaps more usefully put as are there any commercially available apps that can “train” your brain. If so in what aspects. Duolingo is a language training application and it is certainly working for me. Learning a language is reckoned to be a good pursuit in”training” the brain. Widely available and free. Should one buy a specific app for brain training – I doubt it as what they provide may be something you could actually do yourself anyway. As for Lumosity’s claims they remind one of the miracle pill salesman of the 1900’s. Well -researched articles that fully explore a subject ? Avoidance of evoking emotion instead of thought? Illuminating use of statistics always providing base figures and percentages and the type of average used? Diesel -avoid evoking emotion instead of thought ,sounds like a robot/zombie . All humans.well most, are emotional people who feel.love.hate etc I realise there are people who dont like to be touched or people who hate expressions of emotion especially in the public , but sorry I am not part of them ,I feel therefore I am is more appropriate than (in this organic world ) -I think therefore I am . You are born in pain and you cry out as you take your first breath (its painful ) you dont think about it ,its an automatic emotional response. I tried hard once to be unemotional ,cold,hard ,unfeeling — I failed miserably. Emotion is good . However emotion can be used for bad as well as good. Inflammatory news headlines, Nuremburg rallies, only give a very partial view of a problem, etc etc. I am not suggesting one avoids emotion but that you realise that they can and are used against you. How do you think marketing works? I fear there are too many people who do not reflect on what they see and hear – and then realise that perhaps they are not being given the full facts. That they are being steered to a particular view of life , of a product, or even to elicit a quick response. I understand where you are coming from Diesel but I have never acted on impulse in my life ,months pouring over something I might buy I can take a clinical view very well . I am also totally immune to adverts , but I accept what you say about many people generally . The problem nowadays is the intensity of the media 24/7 hitting people through all means of communications and many believing that business companies all tell the truth . This starts at school where private companies are “infiltrating ” with “charitable ” donations which program children into commercialism to the future benefit of their shareholders with big adverts on those donations in the end to make kids like US kids who grow up defending the -buy-buy-buy system making even more money for shareholders. Children should be warned at school about advertising and lessons should be given on combating it to build up an adult resistance. I’ve used Lumosity for a few years, beginning when I was a sleep-deprived new mum. There were numerous benefits: I gained in confidence on my maths skills, I learned that my eye/brain perceived things that I was not consciously aware of, I realised that a fifteen-minute daily habit was a very positive difference to my life (which I’ve extended into other areas, including physical exercise), and I learned to focus and concentrate (every time my mind wandered I’d make a mistake) so now I avoid multitasking in favour of concentrating on a single task. I realised early on that the ‘brain rating’ system was fairly skewed, but most assessment is, including state exams. It’s a shame that Lumosity have been found lacking in this way. I didn’t have a good experience with their customer services when I complained about my membership autorenewing. It seems like the site is on ‘autopilot’ these days, now I know why. Achtung ! achtung ! all you intellectuals and even pseudo intellectuals this is for you and fits nicely with this Convo. A new report by Russian scientists and published in the Endocrine Connections magazine the official publication of the European Society of Endocrinology that type 2 diabetes can be cured by regulating both a person’s physical and MENTAL activity depending on the patients genetic predisposition . When a brain that is genetically predisposed to more MENTAL activity remains inactive the consumption of glucose is reduced , the tissues accumulate glycated haemoglobin an indicator of the average blood sugar concentration level over a three month period and those predisposed to physical activity do not do sports their muscles dont process glucose . Type 2 diabetes can also be caused by the wrong profession and the consequences for the genetically smart or active patients will be different . The smart (those who THINK a lot ) must measure the level of glycated haemoglobin in tissues — the strong (athletes ) must measure blood levels on an empty stomach . What I learned from this is that the brain consumes a large amount of glucose ,in fact its the MAIN consumer ( when ACTIVE ) , I didnt know this , thank goodness I think 24/7 , even in my dreams. So to all those “smart ” people out there —keep thinking it helps your health and those athletes -dont stop exercise . It goes on -type 2 diabetes can result in schizophrenia , Alzhiemer,s or atherosclerosis for reduced brain activity– and insufficient physical exercise and type 2 diabetes can result in cardio-vascular ,stomach and pulmonary diseases . makes you THINK —doesnt it ?? ?